We have released a maintenance update for both XSplit Broadcaster and XSplit Gamecaster. You can update either through the download page or through the application ('Check for updates'). 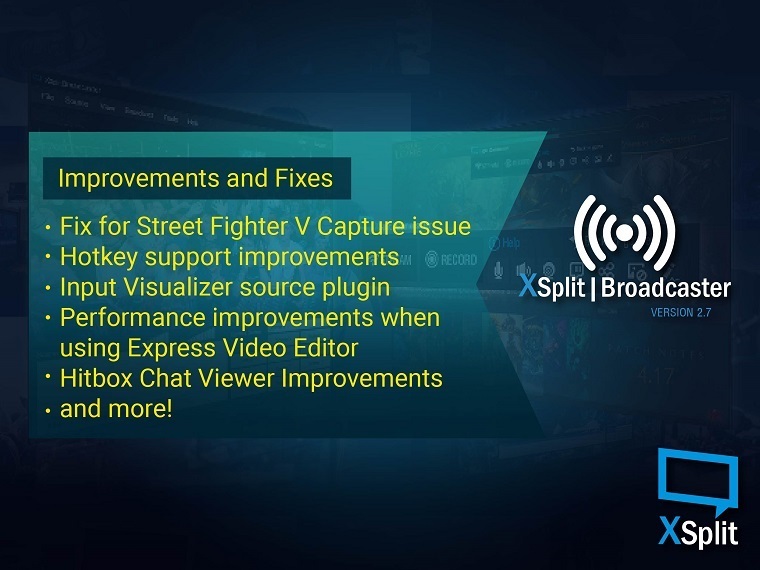 This update contains mostly bug fixes (most notably fix for capture issues with Street Fighter V on Windows 7 systems) and feature improvements. 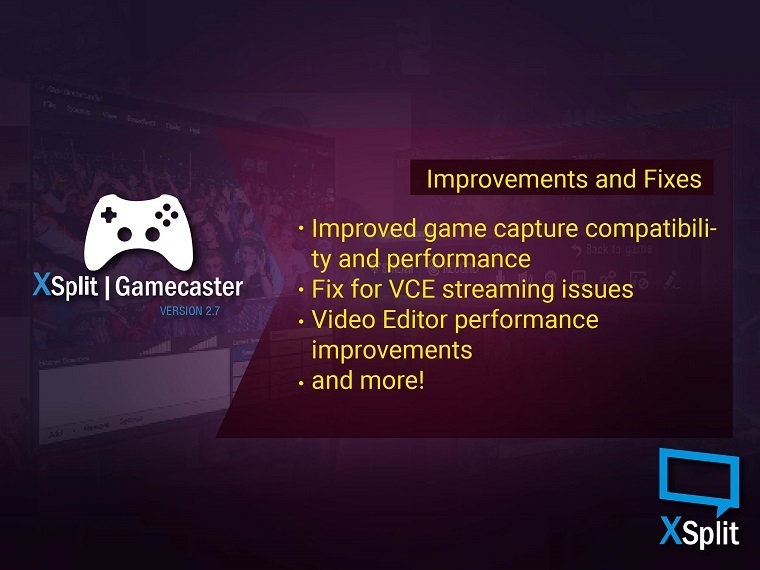 Check out the release notes for XSplit Broadcaster and XSplit Gamecaster for the complete changelog about the respective updates. As always, let us know what you think of the update through the comments section below. Happy streaming!